The Bus Conductors Association of Nigeria says that its members in Lagos State will start wearing uniforms from Jan. 1, 2018 for security and effective service delivery. The National President of the association, Mr Isreal Adeshola, disclosed this in an interview with the News Agency of Nigeriain Lagos on Sunday. Adeshola said the operational uniform would bring sanity to the service in the state and the country as a whole. According to him, the association has started training its members in Lagos State and educating them on the job procedures and attitudinal change while on duty. “The association has been able to train a reasonable number of conductors on behavioural change. “We started the registrations and training at Lagos State Drivers Institute for attitudinal and change in orientation of the members toward passengers and traffic rules. “By Jan.1, 2018, all our registered members will be in their operational uniforms for proper identification and effective service delivery,” he said. The president explained that part of the reasons for training its members was to ensure adequate security of passengers and good customer relationship with the people they relate with. He said that putting on uniforms with identification numbers would ensure accountability and brought sense of responsibility among the members. 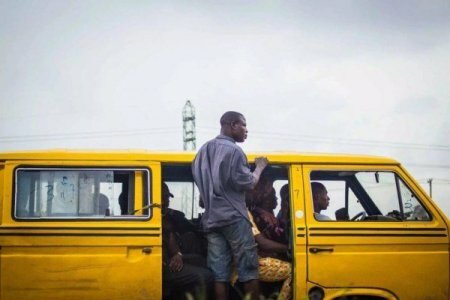 Adeshola said that the association was working towards eradicating the menace of using under-age as bus conductors across the country. He announced that persons from 18 years and above were qualified to join the association. The president added that any minor found operating as a bus conductor should be arrested. “We are coming out to tell Lagos residents that bus conducting is a respected profession like in other western countries where they are respected because they offered humanitarian services. “In Nigeria, people see them as nobody which is not supposed to be so,” he said.